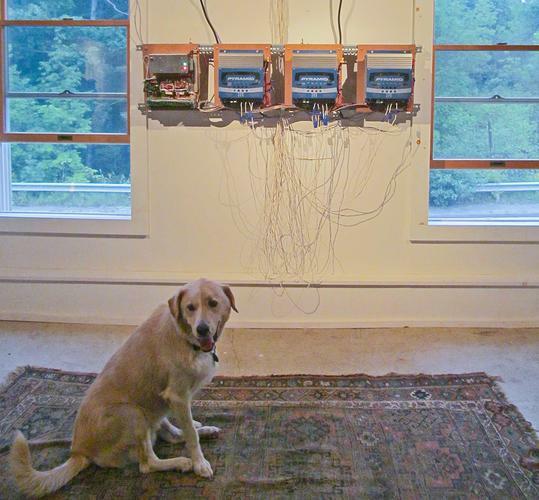 An opening reception for the Sine Wave Network audio installation, created by local artist N.B. Aldrich, was held at the gallery in the old Cannery in Penobscot on September 6. The reception was followed by a genre-defying musical performance by New York artist If, Bwana. If, Bwana, A.K.A. 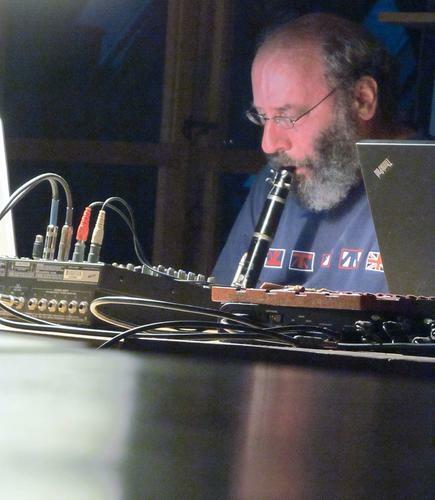 Al Margolis, weaves layers of sound into a rich, tension-filled tapestry. 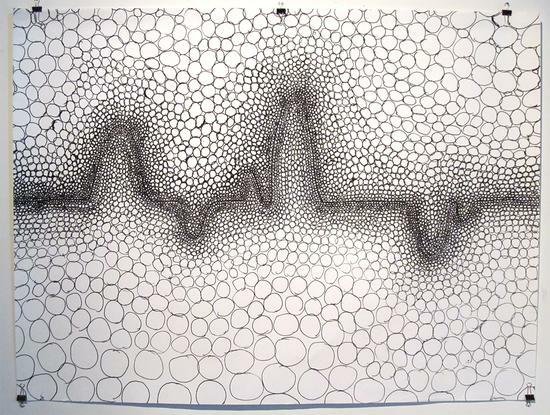 The show also featured pen and ink drawings by local artist Brooke Wentworth, who drew while she listened to sounds from the Sine Wave Network audio installation. 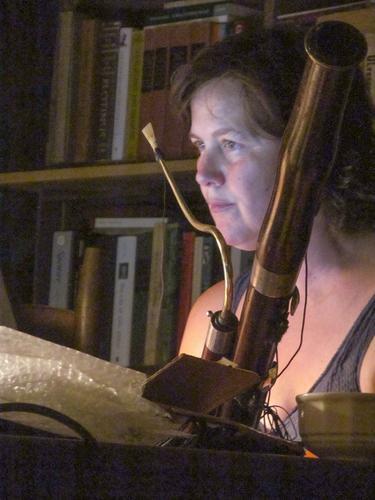 Leslie Ross uses her bassoon to create other-worldly sounds.